1. Abu Ghurab. Memphis, Egypt. 2420 B.C. 2. Abu Simbel Temple. Nubia, Southern Egypt. 1244 B.C. 3. Colossi of Memnon. Luxor, Egypt. 1350 B.C. 4. Medinet Habu. Luxor, Egypt. C. 1490 B.C. 5. Philae Temple Complex. Aswan, Egypt. 550 A.D.
6. Pyramid of Meidum. Meidum, Egypt. c. 2613 to 2498 B.C. 7. Pyramid of Sahure. Abusir, Egypt. C. 2480 B.C. 9. 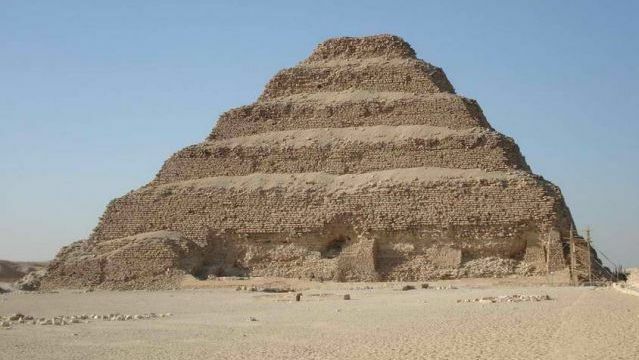 Step Pyramid of Djoser. Saqqara, Egypt. C. 2750 B.C. 11. Temple of Amon. Karnak, Egypt. 1530 to 323 B.C. 12. Temple of Dakka. Lower Nubia, Egypt. 300 B.C. 13. Temple of Esna. Cairo, Egypt. 40 to 250 A.D.
14. Temple of Hathor. Dendera. Egypt. 100 B.C. 15. Tomb of Tausert and Setnakht. Luxor, Egypt. 1200 B.C. 16. Temple of Horus. Edfu, Egypt. 237 to 57 B.C. 17. Temple of Kalabsha. Aswan, Egypt. 30 B.C. 18. Temple of Kom Ombo. Luxor, Egypt. 180 B.C. 19. Temple of Ramesseum. Theban Necropolis, Upper Egypt. 1304 to 1207 B.C. 20. Temple of Seti I. Abydos, Egypt. 1300 B.C. Ancient Egyptians named Abu Ghurab built a sun temple which was built to honor the God of Sun, Ra upon the orders of Nyuserre Ini. 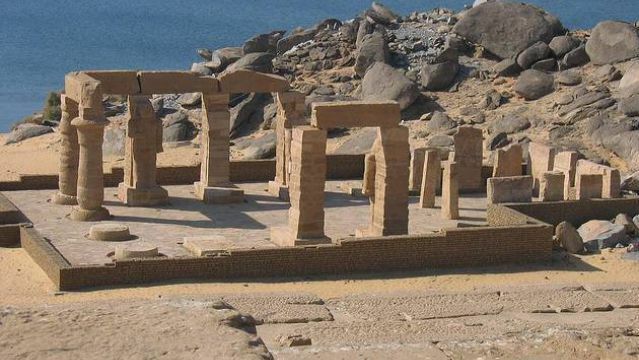 The temple is based along the shores of Abusir Lake and it was made of mud brick and limestone. The western end of the rectangularly shaped temples is quite remarkable for its huge stone pillar. 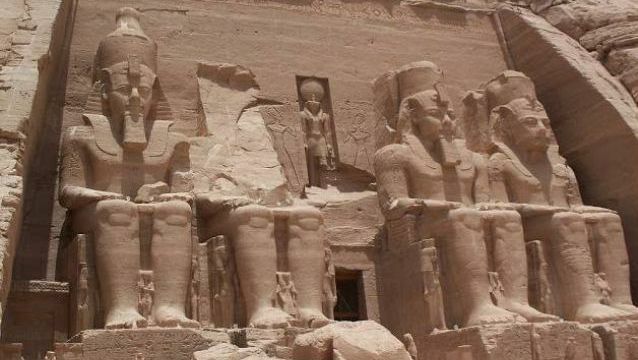 Around 1244 BC, during the reign of Ramesses the Great, Abu Simbel temple was completed. People assumed this great temple took 20 years to build. Abu Simbel temple is today’s one of the magnificent and most wonderful temples in Egypt was dedicated to Egyptian gods Ptah, Ra-Horakhty and Amun. 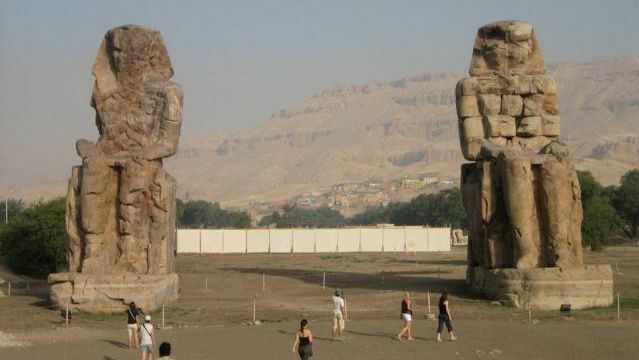 In recent time, one of the most famous attractions on the West Bank of Luxor is The Colossi of Memnon which consists of two huge ruined granite rocks made statues having the height of around 17 meters. Once both statues used to stand at the entrance gate of the mortuary temple of Amenhotep III of Dynasty XVIII. 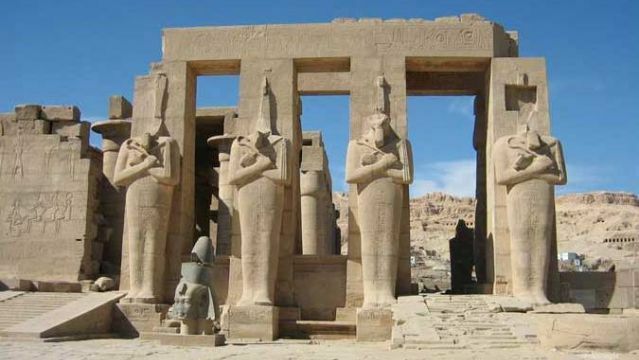 In Luxor, The Mortuary Temple of Ramses III or Medinet Habu is one of the best-conserved temples. This vast complex is enclosed by folding walls which are decorated with vibrantly colored winged sun-disc. The main fontage of this building is unsymmetrical but its reliefs are among its main attractions. The Temple of Philae is considered as one of the last strongholds of Ancient Egyptian Religion. Including the Vestibule of Nectanebos, it is stunning for its numerous shrines and sanctuaries. 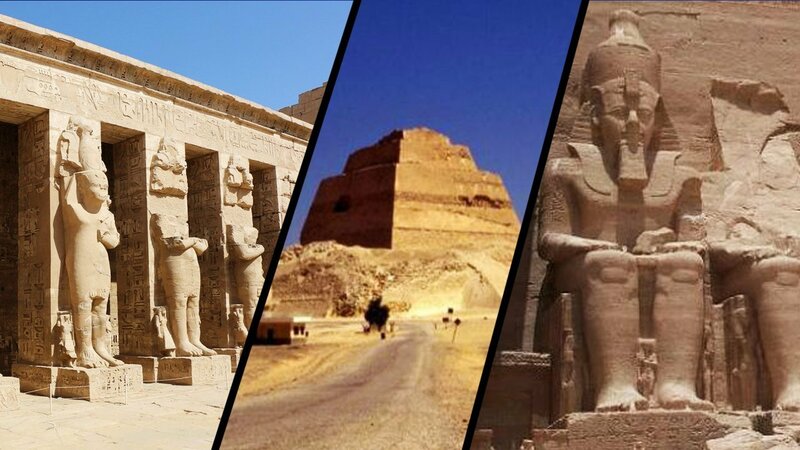 It took around 800 years to be completed which was originally built for goddess Isis and its execution decided the end of Paganism in the region. This pyramid is also called el-haram el-kaddab meaning Fake Pyramid. 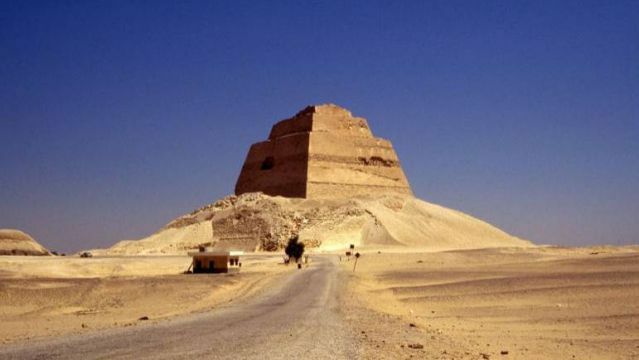 The Pyramid of Meidum was mainly built for Huni, the last pharaoh of the Third Dynasty. 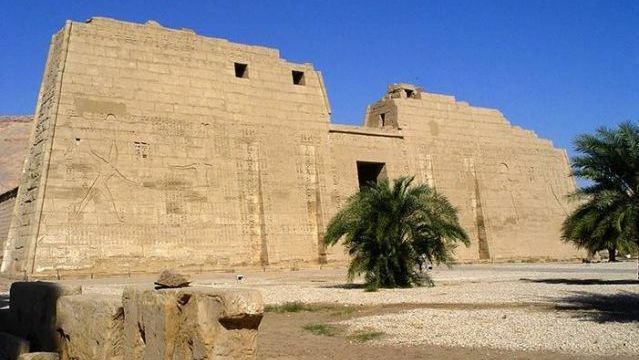 It is very known for its unusual appearance and situated 100 kilometers south of modern Cairo. This pyramid was part of a mortuary complex near the shores of Abusir Lake, labeled as “The Rising of the Ba Spirit of Sahure” also known as the first pyramid built in the necropolis of Abusir. It was built for the second pharaoh of the fifth dynasty, Sahure. The Qansuh Al-Ghuri has six stories and stands around a courtyard. This building is distinguished by an arcade of pointed arches and timber screens which considered as one of the most important and unusual of this series of buildings. 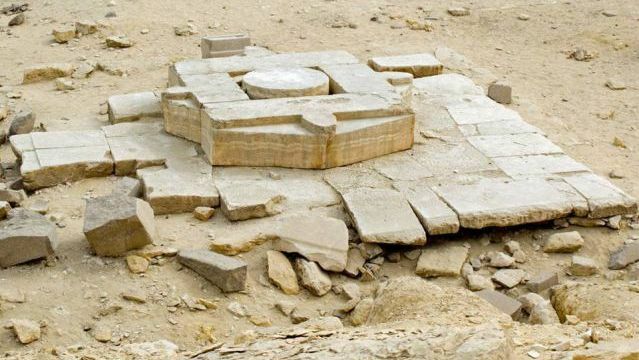 Its current design reveals the final expansion of a prayer chamber into a congregational mosque in Egypt, made of stone masonry..
Having flat-roofed structure and sloping sides, the Step Pyramid of Djoser was originally developed as a mastaba tomb. 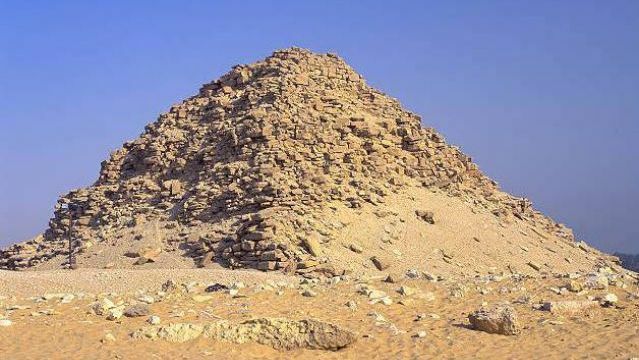 By the time, it has progressed into a 197-foot-high pyramid with six layers and made of stone and clay. 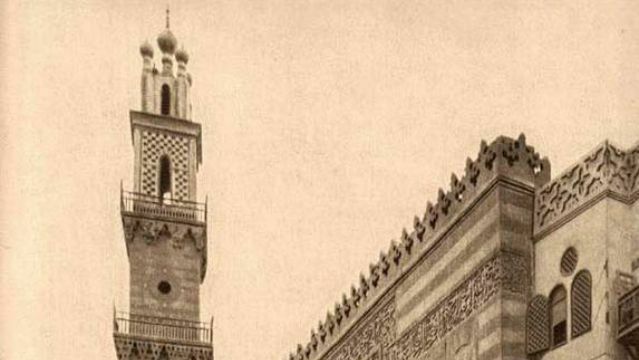 In between 1356 and 1361, the Sultan Hasan Mosque was completed. 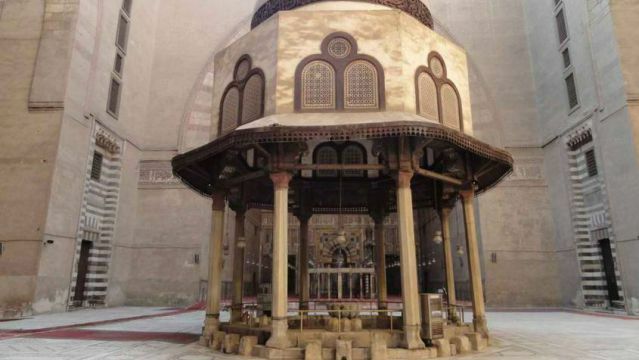 It was located near the Citadel of Cairo, was built to serve as a “madrassa”, a building where Islamic theology is taught. This wide structure measures 65 by 140 meters and has four stories. Its primary plan includes a central courtyard that leads into four large halls. The Temple of Amon in Karnak is considered as one of the most enormous structures ever created in Egypt. Basically denoted by its huge hypostyle hall which was completed in 1225 B.C. and was mainly formed by man-made stone. This structure used to be a hideaway and a place for celebrations in Karnak. For Thoth, the God of Wisdom, the Temple of Dakka was built. It was mainly a one-room shrine but eventually expanded by adding a pronaos and three pillars. Primarily, it was made of granite naos but once the small temple was enlarged into a temple, the fortress surrounded by a stone wall. The Temple of Esna was developed to God Khnum who was known as the God of Creation. Its erection was done by Ptolemaic and Roman emperors, and their names were recorded through the walls of the temple. 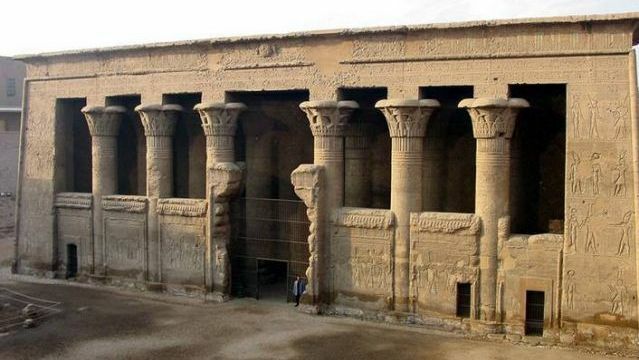 More than 100 years passed since it was completed, the Temple of Esna is still having 24 pillars and four rows of reliefs. The Temple of Hathor at Dendera was built by Ptolemy 8th and Queen Cleopatra 2nd which considered as one of the most intact temples in Egypt. 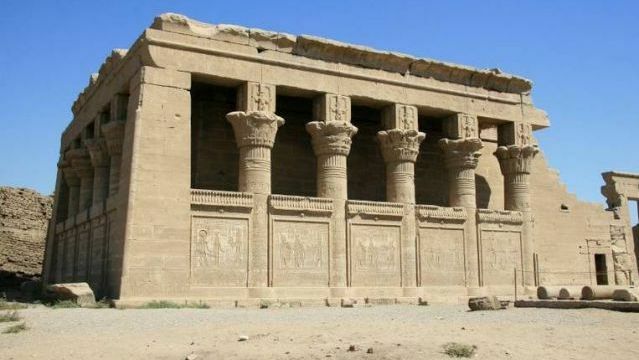 Its inside has an almost square that has six Hathor columns and its walls are designed with scenes of offering and slay of prisoners by the warrior pharaoh Ramses. 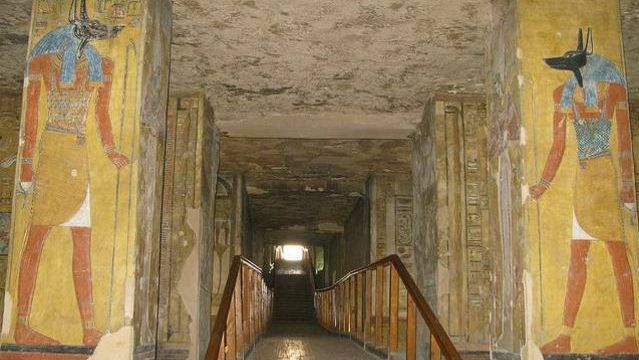 The Tomb of Tausert and Setnakht is designated by a series of passages leading off to a burial chamber that has a sunken central floor flanked by four pillars on both sides as well as a ceiling vault. It is decorated with pulls out from the Book of the Dead, such as sunken reliefs and black sketches. The Temple of Horus in Edfu more commonly known as the Edfu Temple is one of the best-preserved vogue temples in Egypt which is reflective of traditional “pharaonic” architecture. It was completed between 237 and 57 BC. In recent times, this temple is the second biggest in Egypt and is one of the most admired tourist destinations in Egypt. 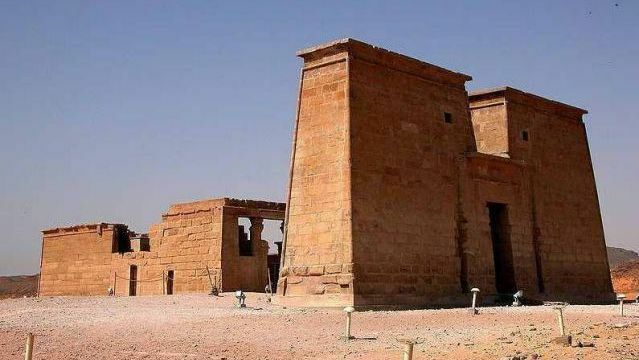 The Temple of Kalabsha was built to Lower Nubian sun god Mandulis. It is located at Bab al-Kalabsha, features many fine reliefs, including a carving of Horus, appearing from reeds on its inner curtain wall. This temple also has hideaway chambers and a staircase that leads to its roof. 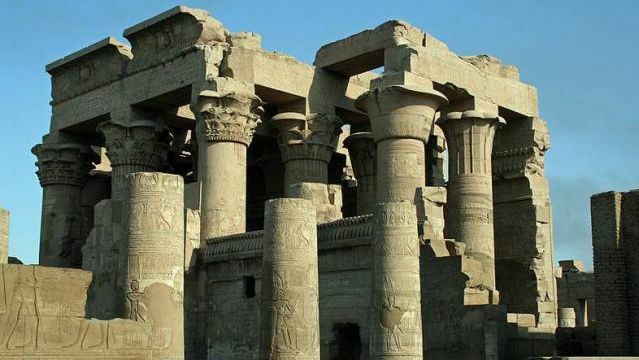 The Temple of Kom Ombo is a double temple that has undergone many restorations from the time it was erected. 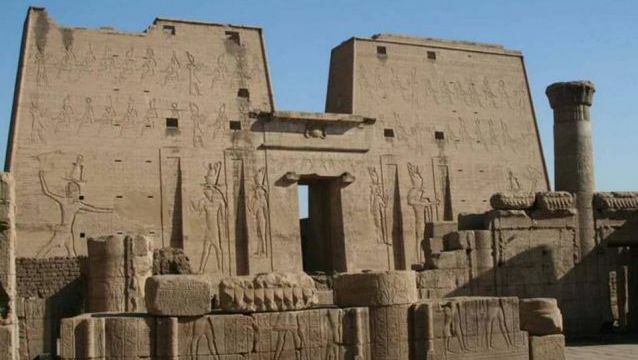 It was built during the Ptolemaic dynasty and considered unique because of its ‘double’ design, initially it was built to worship two sets of gods. Both the structure has similar courts, halls, sanctuaries, rooms and a perfect symmetry along its main axis. 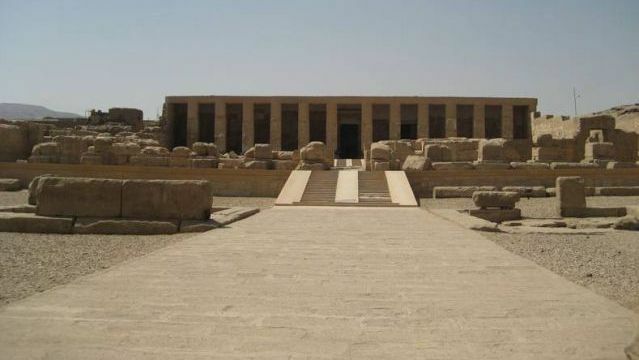 This funerary temple was built for the god Ra, was built by Ramses II. The temple has two pylons in the entrance and there is a colonnaded hall in the first courtyard. 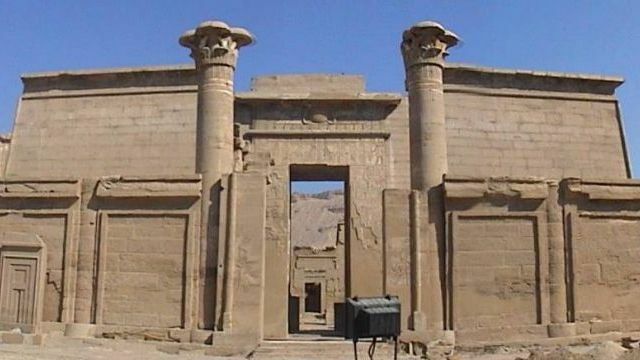 the main entrance of the temple used to be enriched with scenes of the Battle of Kadesh. The Temple of Seti is located along the west bank of the River Nile in Abydos and it serves as the mortuary temple of Pharaoh Seti I. It also mentioned as the Memnonium and holds the chronological list of the dynastic pharaohs of Egypt.